Fool's Fest 2011 was a huge success! We had rides come in form 5 states to compete and watch the comp and festivities for the weekend. The kickoff to the weekend started on Firday with Parade of Fools in costumes, followed by riding & BBQ. Everyone headed out to KCW in the early morning Saturday to hang out, have breakfast and everyone got some solid runs in before the comp started! The cool thing about FOOLS FEST is that anything goes. KCW had a competition for everyone. Parade of fools costume, beginner, intermediate, advanced, pro, kneeboard! 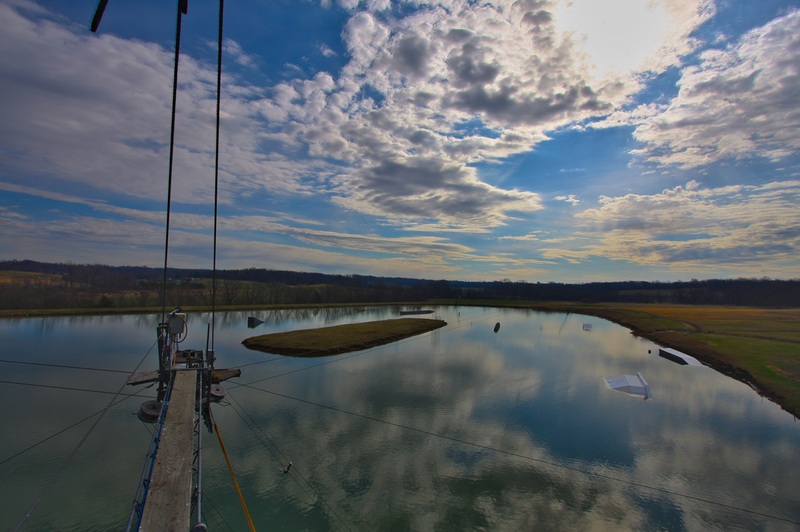 _Beginner or Expert, come out to KC Watersports for an afternoon & evening of fun with your friends from school. During April Madddness, you can ride from 3-7 PM on Thursdays at 50% off our standard 4 hour rates. _Relentless Weekend is how you know the season is changing, and when we shift gears to FULL TIME fun. We move our business from 3 days a week to every day operation with the Kick Off Party to end all kick off parties.. Relentless is all about enjoying the sport of wakeboarding & having a great time! The pros ride with the locals and the industry people and they ALL team up and ride together on different teams. Everybody tries to learn new tricks and it’s just a really fun, no stress atmosphere! Featuring our Friends at Alliance, Liquid Force, Monster Energy Drink & Sanuk! The weekend is packed with demonstrations, competitions, giveaways, and more. _Two great Great Rippers for the price of one. Melissa will be with us June 6-9 and Kim Kirch will be with us for the whole week, June 6-10. _The sun is out, the water is warm and we're ready to invite our locals from near and far out to KCW for an AMAZING weekend of Cable Riding, Winching, BBQ, FREE Stuff, Music, Pro Shop Discounts and a few other surprise's! This year The Midwest All Around has been designed to get riders to come out to KCW to show off their talent and also help fellow riders learn new tricks. We will have a winch set up on Friday afternoon and all day Saturday! If your not riding bring your bathing suit and hang out on the beach, play some sand volleyball, hang out in the pool, slip-n-slide and kick back and enjoy the weather! Tom Fooshee is an elite pro rider for Liquid Force. He is on top of his game and is said to be the best all around cable wakeboard rider in the industry. Fooshee has won just about every cable contest in the world while riding for Liquid Force. 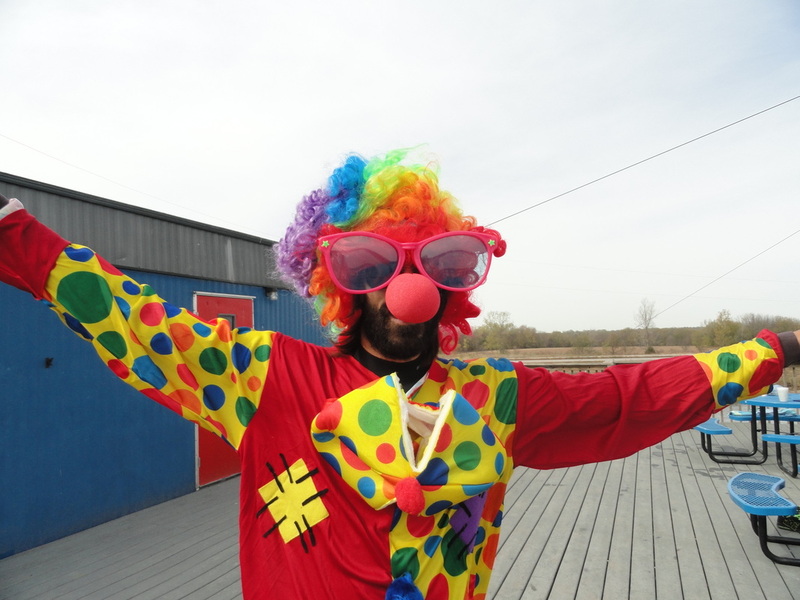 Fooshee will be teaching a week long summer camp that will be held at KC Watersports Cable Park in Paola, KS. The camp will be held August 1st through August 5th. Fooshee will give complete instruction for both riders at beginner level as well as the advanced level. The camp will include classroom/video, importance of stretching and instruction on and off the cable. If you’re just learning how to ride or wanting to add something new to your bag of tricks this is going to be an amazing camp for you! _Liquid Force’s Free for All Cable Tour is back! 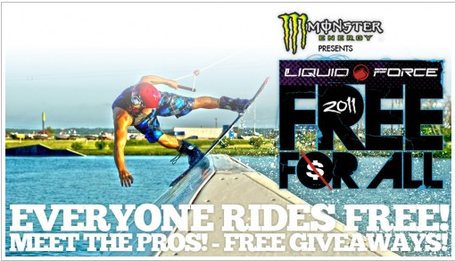 With a goal of introducing the sport of wakeboarding to new people, Liquid Force has teamed up with Monster Energy, Spy Optics, Supra Boats, New Era, Skullcandy,TransWorld WAKEBOARDING to offer a series of ride-for-free days at cable parks across the country. There will be 4 divisions to compete in, beginner, intermediate and advanced wakeboarding, followed by the wakeskate division. Each heat will last 10 minutes, and in those 10 minutes each rider will attempt to hit as many obstacles as possible. Heats will be determined by the total number of riders signed up for each division and the riders names will be randomly selected to determine which heat he/she will be riding in. The top two riders from each heat will move on to the finals round for each division and compete for a 1st, 2nd and 3rd place finish. If there are eight competitors signed up for a particular division, four will ride in the first heat and four will ride in the second heat. The top two competitors from both heats will ride in the finals heat for that division. 1st, 2nd and 3rd place will be determined from pre-selected judges. Although this is called a Rail Jam, all obstacles are still eligible. Each rider will want to hit as many obstacles as possible and do whatever tricks they can on each of those obstacles. If the rider crashes, then he/she can rush back to the starting dock to get back on the cable, if time allows, continuing their run. 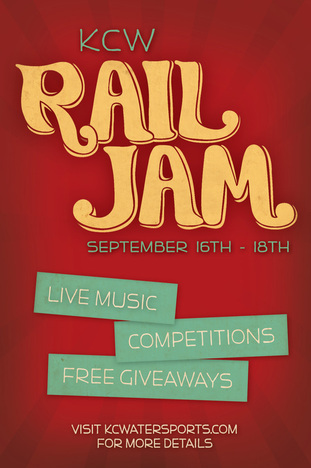 KC Watersports will also be sponsoring a food drive in co-operation with Harvesters of Kansas City for the week prior to the Rail Jam event, starting Monday, September 12th and ending Sunday, September 18th. So help us fight hunger for this upcoming winter by bringing in a non-perishable food item to the KC Watersports location. Even if you aren’t riding, we encourage you to help out this great cause. _Come help us celebrate the close to an epic season. This will be the last and final event of the 2011 season. Instead of hosting your basic 1.5 lap competition we thought we would spice things up for the last event of the season. Wake Harvest will be a 3 day event with numerous "mini" competitions throughout the weekend. These "mini" competitions will be for all ability levels and will only require one entry fee. Each competitor can decided if they want to participate in just one or all of the events.